My name is Guy Pluckwell and I work on the Love Your River Telford project. 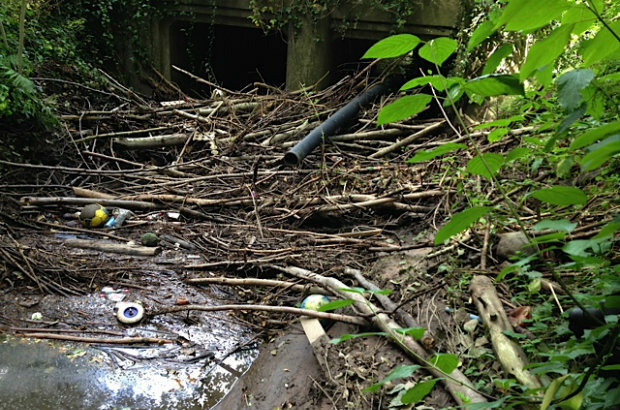 When we initially surveyed the watercourses in Telford we found that they were being impacted by urban pollution, such as sewer misconnections, trading estate runoff and all manner of litter, including bed mattresses and car tyres. Historically, our team has operated in mainly rural locations, and were unaccustomed to resolving the kinds of urban issues present in Telford’s watercourses. In an attempt to tackle these issues my team approached various partners and local groups so that we could combine our efforts together. There was a lot of enthusiasm for a project to improve Telford’s watercourses which was great to see! It also became clear that Telford had a relatively large and very active network of volunteer groups that focused on environmental issues. After many discussions, some very innovative ideas and lots of unique suggestions about how to approach the challenges we faced, Love Your River Telford was born. As a project group we have already done some great work to help improve the environment. 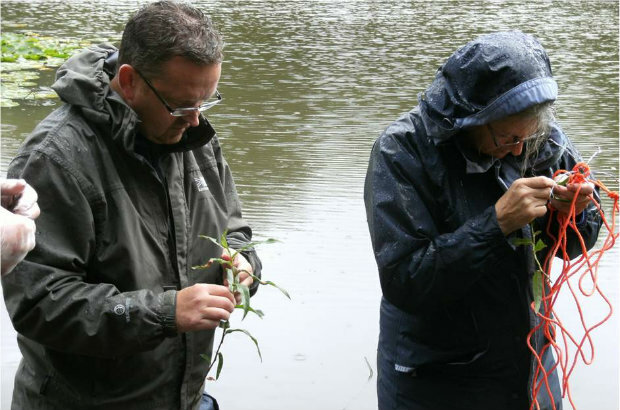 We have completed a programme of training sessions so that volunteer groups can monitor their own stretches of watercourse, identify water quality issues and know what to action to take where they do identify issues. 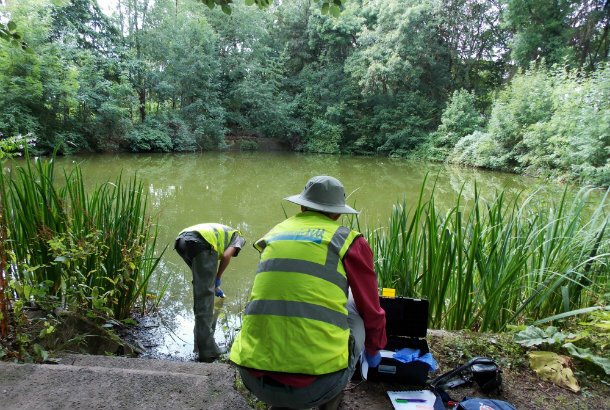 Volunteer groups, such as the Friends of Apley Woods and Telford West Wildlife Group (TWWiG), have already been monitoring water quality, have identified issues and started to resolve them. We have also developed a new approach for dealing with urban pollution – we have formed the Clean Stream Team. This is made up of representatives from the Environment Agency, Severn Trent Water and Telford & Wrekin Council, with support from Shropshire Wildlife Trust. 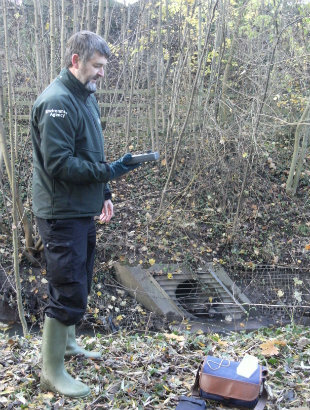 The Clean Stream Team provides training and advice to local volunteer groups, enabling them to identify and report pollution issues for the team to resolve. This is just one example of how the Love Your River Telford project has got the community working together for the good of the environment, and people’s enjoyment of it. Last but not least, we have identified schools for our River Rangers programme. The aim of that is to raise awareness about the environment and water quality amongst schoolchildren and build a mini sustainable drainage system (SUDS) with the pupils in participating schools. In addition to reducing pollution and improving water quality, the project looks at other environmental benefits including biodiversity and wildlife conservation, as well as providing more opportunities for participation in fishing and other recreational activities. There are 12 organisations on the project group, and we are working in direct partnership with Shropshire Wildlife Trust, Severn Trent Water, Telford & Wrekin Council and Telford Green Spaces Partnership (and their affiliated local volunteer groups). We are also working with the Business Environmental Support Scheme for Telford (BESST) to create a business recognition award for innovation in pollution prevention and water efficiency. It's brilliant the work all these volunteers are doing in Telford. The TGSP volunteer groups look after their own local green space, a remnant from the Tekford Access to Nature Partnership funded by Natural England and Big Lottery (2009-13). Keep up the good work. An amazing project. Well done Guy and all involved. Its commendable to see such outcomes, however the problems are historical in the main and the causes have without doubt been statutory neglect by the regulatory bodies responsible and they well know it and should hang their head in shame. Now such projects get a big handshake and applause and lots of public media attention because the work is being carried out by the groups who are staffed by volunteers and are doing a grand job for free thus saving the public purse. The fact that voluntary groups are carrying out water quality sampling having identified such problems as Cross connections of drain to surface water systems shows the lack of resources available from the EA who should be doing the Walk instead of the Talk in conjunction with local authorities who are just as responsible for such oversight. The professionals are getting their responsibilities done for little expenditure other than for advisory time and some equipment loans when such issues should have been noted by prior dedicated attention to detail and oversight by the Environment Regulators rather than having to address the problems much later as a consequence of long term neglect - a bit like shutting the stable door after the horse has bolted !! It's always easy to look at history and point the finger, Kewill. We could always blame Henry VIII for the state of the Clergy or Queen Victoria for the state of our cities, but there is very little to be gained from that. Would you rather nothing be done? What does it matter if volunteers do the work and it makes it cheaper for the authorities? I've volunteered before on conservation projects and I found it very gratifying. Do you think volunteering is wrong or something? You just sound bitter. Tom, I find your remark involving centuries old characters rather hollow...whats the clergy or the Royal Family got to do with a real and ever present day problem, therefore your comment in that respect is worthless in fact. I've spent over 30 years in the water industry and taken more water quality samples than you may have had hot dinners...I'm also very aware of the shortcomings in the present day regime and its nothing short of a scandal that our waterways were allowed to get in such a state in the first instance. I might add that As a committed angler I've always done my part and know what I achieved both privately and publicly though I had a lot of experience to draw on. It's always been my view that the use of volunteers has always been problematic as its led to one inescapable outcome, the eventual downsizing of experienced full time officers and in fisheries management and water quality control. thats means only one point.... poor performance and less oversight of the environment as volunteers don't have the experience to manage events nor recognize incidents accurately and or deal with them appropriately...end of! Kewill. Whilst I do not doubt the credentials you felt it necessary to proclaim, it appears you are quick to criticise and assign blame (your defensive response aside) without offering any suggestion of how the problems you describe can be resolved. Are you saying "The damage is done, our rivers are a state so lord help us all" or do you actually have anything constructive to say? The problem has always lain with those that are supposed to manage. They have found ways to use funding for projects that have been "the nice to do tasks" and not got the real day to day work sorted! I'm sure Tom that had you ever worked within the EA, you would have a grip on reality and what has been some issues of neglect and poor oversight.Such issues are poor C S O licensing where storm sewage has been allowed to pollute watercourses without redress despite condemnation by the angling community at large and fish stocks lost, another is large scale cutting back of backside trees and vegetation to facilitate flood reduction,especially in areas of urban development where housing should never have been built in the 1st instance on flood plains, matters all under the EA oversight,so I'd say rightly that considerable damage has been done and the lessons never learnt to date. I still contend that volunteers are cheap shot at getting any work done for free,I'm not Unionist, but the cut backs in feet on the ground and the knowledge lost is unforgivable and yet managers continue to proliferate ! The EA wasn't a statutory consultee on planning consents for development in the past, which could have contributed to the modern day development on our floodplains. So I don't think that EA oversight is sole cause - more the need to develop at any cost. CSOs are a necessary pressure valve on sewerage systems that have become overloaded by storm run-off, and in a lot of cases are prevent domestic systems backing up and raw sewerage backing up into people's houses. Until any new developments have to take in to account sustainable drainage, pressure on the sewerage system and local drainage systems then we will keep adding to the pressure and CSO linked pollution incidents will keep happening, and the latest planning regulations have been weakened in this regard. There are people that realise the great value that our rivers and environment provide and want to help to preserve / conserve and protect them now. This project is another great example of local groups coming together with the EA and Wildlife Trust to improve our urban environment and make a real difference.